We were very excited to photograph their wedding! 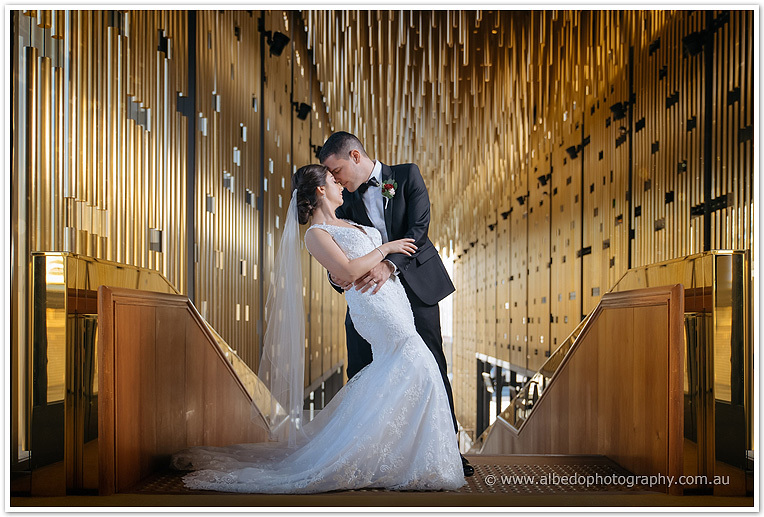 Their wedding had a gold theme, with an opulent, modern feel. Their ceremony was held at the grand St Brigid’s Church in Northbridge, with our favourite Priest, Father Joseph. It is such a stunning church, and an emotional ceremony, with a bit of laughter thrown in! 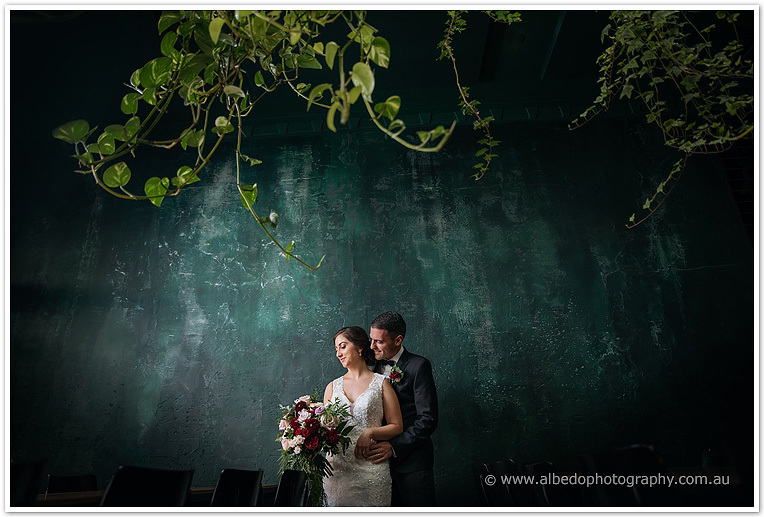 The bridal Party photo locations included the quirky bar Young Love Mess Hall with its stunning light and vines hanging from the ceiling, the opulent Perth Theatre and Bishop’s Garden. 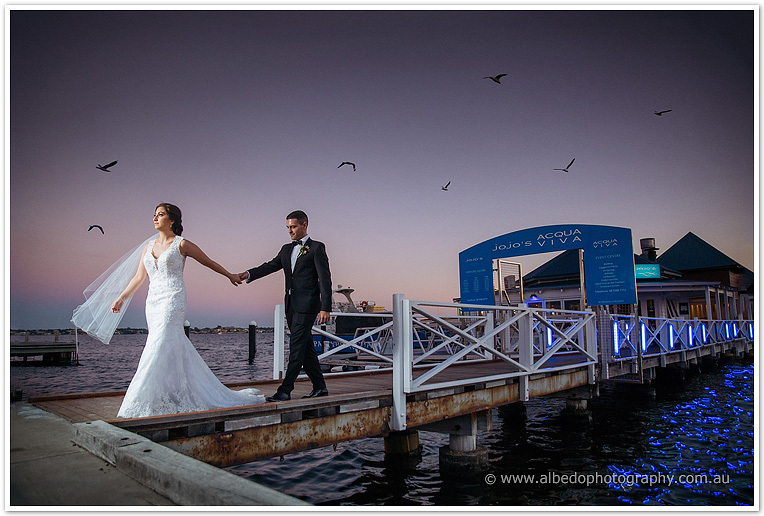 Domenica and Adrian’s reception was held at one of my favourite venues, Acqua Viva in Nedlands! Words can’t describe how pretty everything looked – lucky there’s photos below :) The venue is surrounded by water and yachts, so it feels like you on a boat! And with Co-host MCs Nick and Alfonso, the night was hilarious! Oh and the food, from antipasto, entre, main and desert were all amazing! I don’t usually remember what I eat at a wedding because I’m so busy running around, but I remember every dish :) The night ended with lots of fun and games, and some crazy dancing. Adrian and Domenica honeymooned in Europe for 8 weeks – yes very jealous. Thank you Domenica and Adrian for having us part of your epic day! Such a beautiful couples and locations. Love the warmth in this wedding!